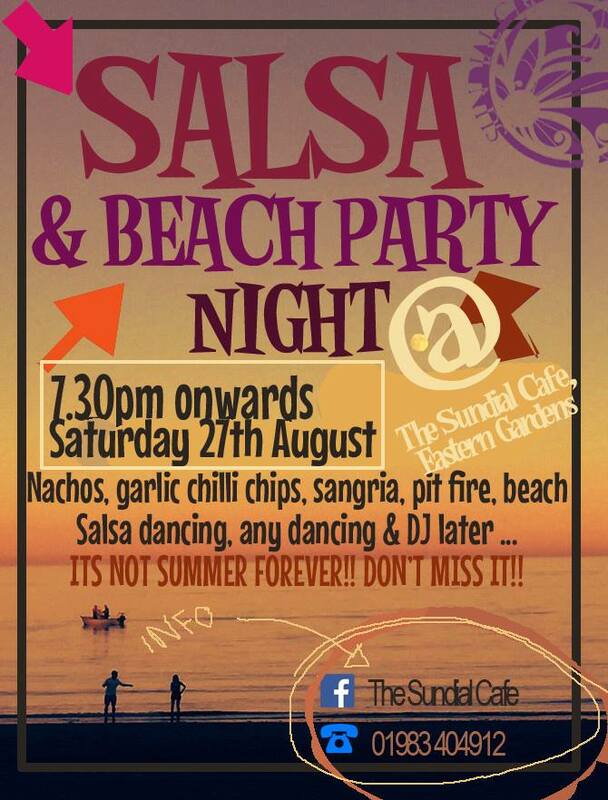 This Saturday the Sundial Cafe, Sandown, in conjunction with Isle of Wight Salsa, are holding a Salsa & Beach Party Night, from 7:30pm. There will be a introductory lesson for anyone who has not danced salsa before from 7:30pm-8:30pm. Then dancing till late.